105422 115mm Angle Grinder Stand Holder Tool 115mm Angle Grinder Stand(Grinder is not included) The base is made from heavy cast iron Please check photos for more details Note the angle grinder is NOT included, photo for illustration purpose. 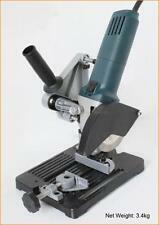 It is suitable for 100-115mm angle grinders. 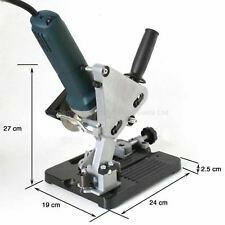 115MM High Quality Electric Angle Grinder Clamp Stand Cast base 105422 115mm Angle Grinder Stand The base is made from heavy cast iron Please check photos for more details Note the angle grinder is NOT included, photo for illustration purpose. It is suitable for 100-115mm angle grinders. Manufactured to DIN 338. - images are for illustration purposes only. Hand Tools. View this range. Further Information. Material : High Speed Steel. Overall Length : 57mm. Bearings & Transmissions. Extension Bar for SDS electric/pneumatic hammer drills. If you need to core a deeper hole then this is what you need. Can also be used with standard percussion drills. SDS plus Arbor 250mm long (327mm inc pilot drill). Includes 7mm masonry pilot drill bit. 17mm (3/8" bsp) thread. Ideal for light & medium density bricks, blocks and masonry. Brand: Toolzone. . Designed for use with the Kreg Deck Jig®. Correct spacing ensures proper airflow, a cleaner deck, and longer deck life. 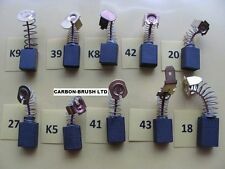 Manufactured to BS 328/DIN338RN. - images are for illustration purposes only. Flute Length : 114mm. Overall Length : 169mm. Flute Construction : Ground Flute. View this range. Material : High Speed Steel. 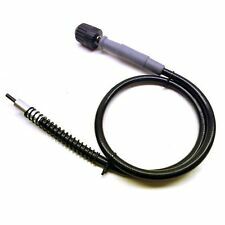 Manufactured to BS 328/DIN338RN. Bright FinishDrills with a bright finish are supplied in the as-ground condition and such tools are used generally in the machining of non-ferrous materials. - images are for illustration purposes only. SET OF 12 HSS CENTRE DRILLS. Contains the following centre drills. Supplied in wooden storage box. Mortising chisel bits cut square holes for various sized mortise and tenon joints. Square Auger Bit Set. made from quality carbon steel with a highly polished surface for easy penetration. each chisel has a large side opening for easy and fast chip removal. PETROL AUGER COMPLETE WITH DRILL. DESCRIP: PETROL AUGER 51.7CC. choice of drills. 2 -stroke gasoline engine 1E44F-5. Operate type: one/two man. Engine type: Single cylinder air-cooling. Power: 1.46kW/7000rpm. The Pine Drill Brush (PB4) The Original Pine Drill Brush. A drill polishing brush designed for use with any standard drill. When the drill rotates, the fibre takes a mushroom shape, enabling you to polish awkward areas as well as larger surfaces. Silverline Drill Gauge. Tempered Stainless Steel. Professional Hilka 110mm tungsten carbide tipped (TCT) Core Drill with SDS fitting for Cutting round Holes. Designed to give rapid, clean cuts through light and medium density brick, blocks and masonry. Core Drill is perfect for plumbers, heating/ventilation engineers, electricians, kitchen fitters and builders Comes complete with Core Drill, pilot Drill, and SDS arbor. Ideal for light and medium density bricks, blocks and masonry. Designed for use with standard percussion drills and SDS plus pneumatic hammer drills. Size:110mm. Brand: Hilka. .
Genuine Makita Cordless Drill Gear Box Assembly 125430-5 To Fit Models BHP451 BHP441 Brand New Genuine Makita Replacement Spare Cordless Drill Gearbox / Transmision Full Assembly for the models listed above We are a 5 star Authorised Dewalt Service Repairs Agent and only deal with Genuine Dewalt Products. Hilti Core Drill /DD100 Diamond CORE Drill 110V. Condition is Used. good working order. postage only UK. Nice Clean Tidy Condition Weka Pro Core Drill Complete with 1100mm or 43" high Rig Stand as Seen. ADT Weka DK 26 core drilling system. Weka DK 26 diamond core drilling machine. KBS 330 core drill rig stand - Dowel foot 4 x M8. 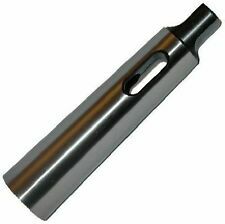 Series A002 HSS Straight Shank Jobber DrillsTiN tip coating for increased tool life and performance118° self-centering split point for superb hole quality and positional accuracy.For use on steel, stainless, cast iron, ceramics, plastics and many other materials.Size range: 1.00mm - 16.00mmManufactured to BS328: Part 1: 1986, DIN 338. Minilor model makers drill stand and drill. Drill stand is in good used condition and seems solid. As you can see from the photos the front end water injector and the chuck were replaced in a Hilti service quite recently. The unit has not been much used since then. The drill is mounted on a stand. Six number Hilti drill bit set. 4 pin plug - 400/440volt / 3 Phase 1/3 hp - 1425 RPM. After restoring the first one (see last two picture for reference my Grey one is not for sale ) I found that I didn’t really need the second one so has sat in shed since. Hilti diamond core drill bit 102 mm x 500mm - 1 Brand New - 1 Used For 1 Hole in soft mass concrete. Guide and drill chuck in good condition - never used. Number Sizes Series J100 General purpose drills for steels, cast steel, grey cast iron, malleable cast iron, nickel brass, aluminium alloy and graphite. Manufactured to ANSI B328, BS 328 and DIN 338. Includes robust aluminium rail 19mm (3/4”) and 2 x hinge cup drilling guides that slide along rail to align with hinge plates. 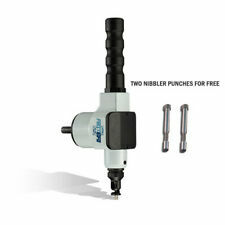 Complete system allows drilling of two hinge cup holes with one set-up. 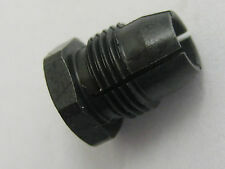 Collet Chuck Model: ER32(clip range: 2mm-20mm). Straight shank type extended handle, the handle body was longer. Shank Length: 100mm. 1x Chuck Holder. The nut can direct tighten, high rigidity and strong clamping force. Series A100General purpose drills for steels, cast steel, grey cast iron, malleable cast iron, nickel brass, aluminium alloy and graphite. Manufactured to BS 328/DIN338RN. - images are for illustration purposes only. Manufactured to BS 328/DIN338RN. - images are for illustration purposes only. Hand Tools. Point Angle : 118°. Point Type : Split Point. Flute Length : 10mm. Cutting Direction : Right Hand. View this range. CoroDrillⓇ 880 indexable insert drill. 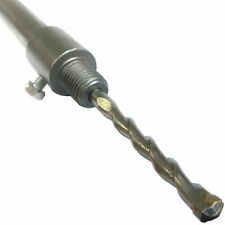 CoroDrill 880 -size 05-C (880-050305H-C-GM) | CoroDrill 880 -size 05-P (880-0503W05H-P-GM). Master insert identification (MIIDM) 880-050305H-C-GM | 880-0503W05H-P-GM.